Deep mirror-like protection on all hard finishes. 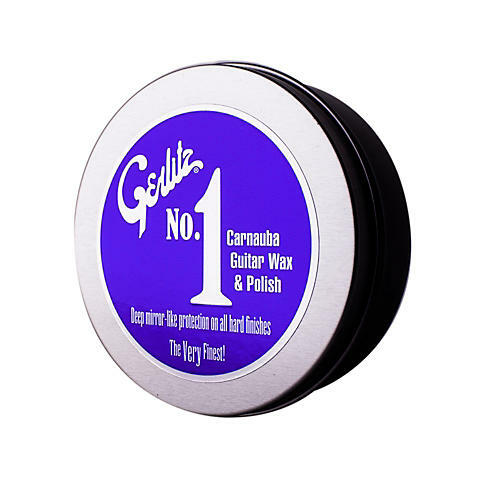 Gerlitz's No.1 guitar wax is made from the highest-quality grade of Carnauba wax available. Because it contains number-one grade pure-Brazilian Carnauba (the hardest wax there is), it provides a hard protective coating and leaves a mirror-like gloss other waxes and polishes simply can't match. It's especially effective on all gloss & satin hard finishes. Wax on, wax off. Then enjoy the shine and protection for days to come. Order today!